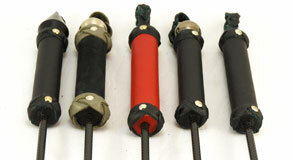 A stunning handmade leather flogger! 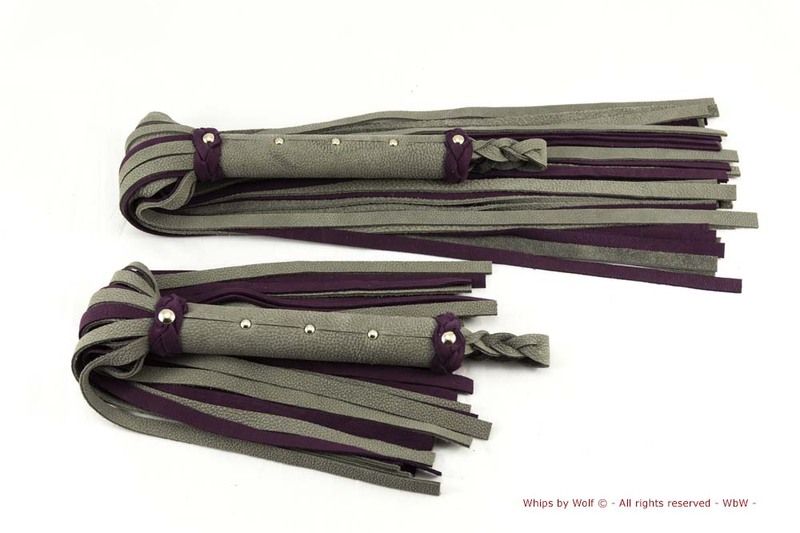 Grey and pruple leather flogger made out of premium leather. This is a perfect allround flogger and very suitable for warming up the skin. Finished off with shiny upholstery nails and turkish headknots. Finished off with shiny upholstery nails. Because of the length, it’s especially designed for up close play. Because the flogger isn’t that long it’s perfect to hit specific targets! For example the bust and the shoulders.